There’s a woman in her 30s who has been breaking marathon course records left and right. A native of Saga, her name is Hiroko Yoshitomi (34, Memolead). 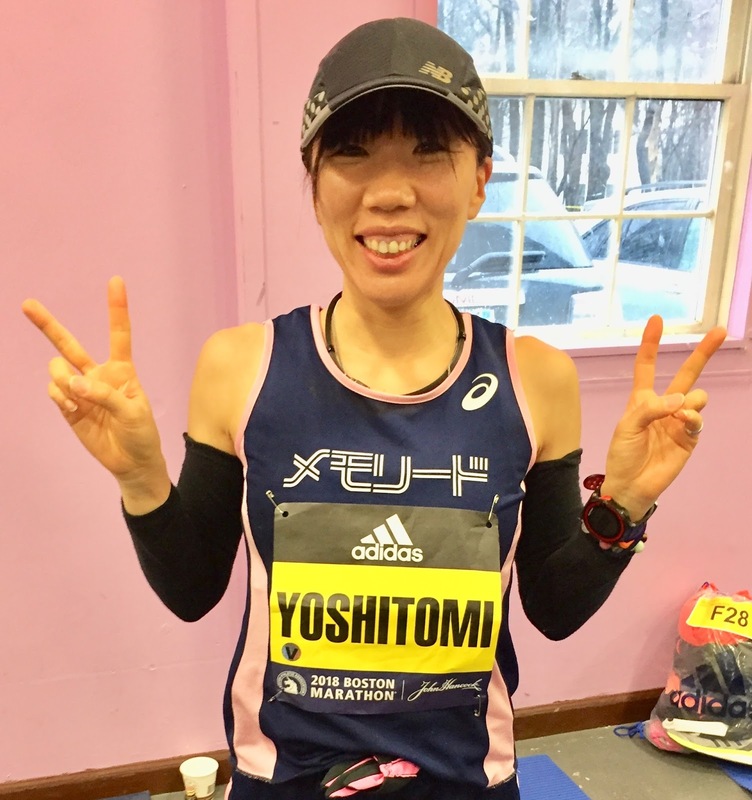 In the last year she has broken course records at three domestic marathons including a 2:33:57 at March’s Saga Sakura Marathon. “In terms of my age, I’ve still got years left to be breaking records,” Yoshitomi says. “If you approach your running in terms of that kind of thinking then it’s totally natural that the times are going to come.” At one point she had thought about retiring this season, but for now she’s determined to push on. A member of Nagasaki’s Memolead corporate team, Yoshitomi trains alone near her parents’ flower farm in Fujimachi, Saga. Running on the tough hills of the local mountain roads she averages 20 km a day, sometimes running up to 50 km in training for key races. From the end of last year through Tokyo in February she raced almost every weekend. “Races are the best training,” she says of her approach. Every day before practice she spends the day in a hothouse filled with flowers, the interaction with nature raising her heart rate. 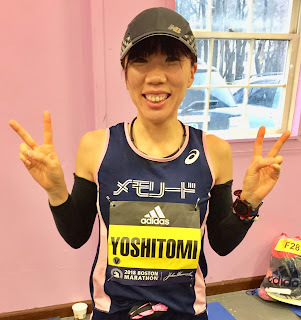 In her 20s, when most runners at their peak, Yoshitomi had long periods when she couldn't focus her mind and body on running. After graduating from Kashima Jitsugyo H.S. in 2002 she joined the Sanix corporate team in Fukuoka, but after two years of injuries that kept her from performing up to the level she’d imagined she quit the team. “I wanted to run, but I couldn’t,” she reflects. “Even so, I knew it was something I loved.” Returning to her parents’ home her desire to run remained undimmed, and in 2006 when her former Sanix coach Morio Shigematsu, the 1965 Boston Marathon winner, contacted her she began training and racing again. Just six months later, though, the Sanix team was disbanded due to economic issues at the company. “I know you can go sub-2:30.” Whenever things were down those are the words Shigematsu would say to give her a gentle push in the back. She's still full of competitive drive. Finally finding a way to make her running dreams a reality, this late-blooming runner next takes on June’s Stockholm Marathon in Sweden. Chihiro, Yuki, the other young Saitama wowan, and Hiroko; truly amazing.